Moments after being sworn in on December 5th, 2017. 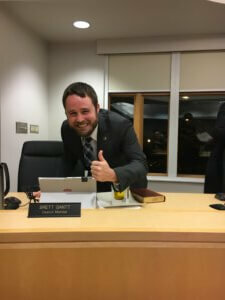 There are two words that describe my first year on the Town Council: honored and exhausted. I’m honored to have the opportunity to vote on policy initiatives like paid family and bereavement leave for Apex employees and prohibiting smoking in Town parks and greenways. I’m honored to have the opportunity to give input on plans for Pleasant Park, the Senior Center, and Advance Apex, all of which will define Apex well into the future. 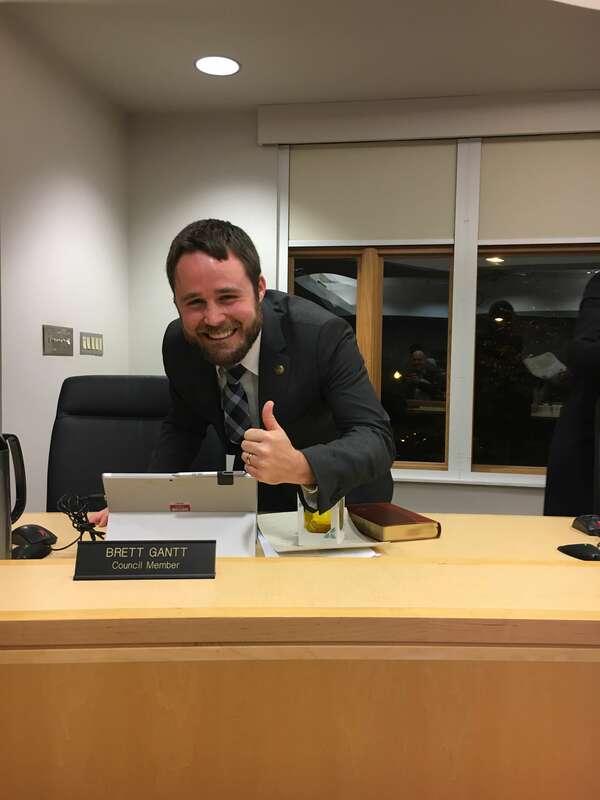 I’m honored to have the opportunity to help the Town Manager craft a budget that included funding for extensions of the Beaver Creek and Middle Creek Greenways, a long-term plan for improvements in Downtown, and the installation of solar photovoltaic systems on even more Town buildings. I’m honored to have the opportunity to participate in smaller projects such as the air quality monitoring of idling trains in Downtown, removal of roosting vultures in Sunset Hills, and construction of sidewalks/crosswalks near Scotts Ridge, Apex Friendship, and Laurel Park. I’m honored to have the opportunity to approve developments with mostly unprecedented conditions like solar photovoltaic systems on some homes, public art easements, extra wide/thick vegetative buffers, and sidewalks beyond their street frontage. I’m honored to serve with a group of Council members who can disagree without being disagreeable, supported by Town staff who are the consummate professionals. I’ve also been exhausted numerous times, whether it’s from tough choices like transitioning EMS services to Wake County, frustrating delays like the stoplight at the intersection of Kelly Road and Beaver Creek Commons Drive, or the lack of sleep from worrying about how to balance Apex’s growth with the preservation of its small town charm. 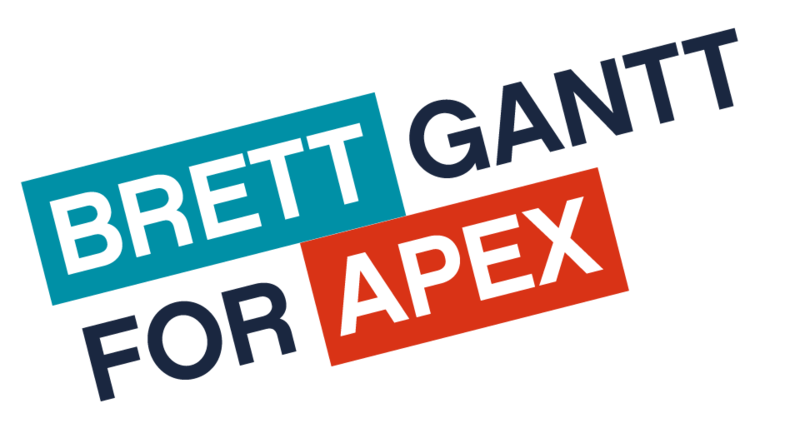 Thank you for the trust you’ve placed in me to serve on the Apex Town Council, and be on the lookout for an even more exciting and eventful agenda in 2019.